Turn on the radio in Small Town, Nowhere, and you might just feel the sounds of powerdove emanating from your speakers, if not from your own skin. The brainchild of composer and multi-instrumentalist Annie Lewandowski, powerdove skirts the edges of distant counties even as it erases them in favor of a landscape populated by songs in place of people. Guitarist John Dieterich and Thomas Bonvalet (who forges a distinct percussive palette with various technological and organic accoutrements, including his own body) complete the cybernetic triangle by which the music navigates, corroded yet still trustworthily affecting. To hear the group’s latest album, do you burn?, in the ugly comfort of your own home is to open a dusty diary of impressions that remain nevertheless crystalline. To hear those songs in the beautiful discomfort of a live setting is to take those pages, leaf by leaf, and fashion from them a bed of kindling. 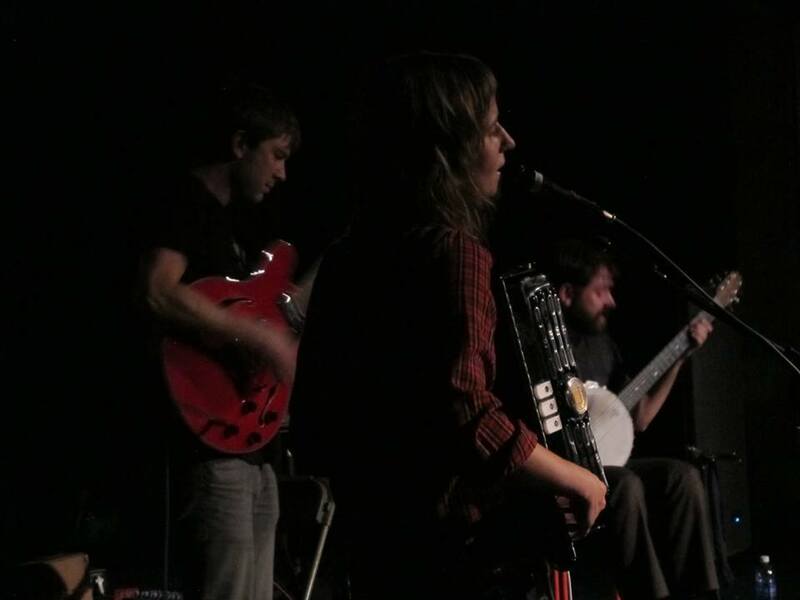 Such was the warmth felt as Annie and company brought their characteristic brand of washboard balladry to Cornell Cinema’s stage on a crisp December night. Although short in duration, each song was a story brought to chest-piercing fruition by some enviable synergy. Miniatures, yes, but in the way of a white dwarf star. Annie’s presence—willowed in body yet avalanched in mind—was the eye of the supernova; John’s insightful picking wielded gaseous filaments, like the webs that hold every corner of a house together in semblance of memory; leaving Thomas to connect the evening’s constellatory dots. The latter’s apparatuses—which included contact mics, harmonica innards, mouth organ, and even a light-activated banjo—were only nominally technologic. Whether the distorted desk bell at his foot (not a bid for help but a signal to the helpless) or the two metronomes phasing in “Easter Story” (off 2011’s be mine), his periphery sang apart, for it was clear that powerdove was plugged into more than just amps. These were songs written by means of and through a body steepled by childhood, broken like bread along fault lines of the here and now. Like Annie herself, who started offstage and coalesced into sight only when the second song (“California”) commenced, the music was docked in immediate reality but tangled itself in seafaring dreams. Her enunciation was as convex as the words were concave, all touched to flame by the spell of her accordion. From a blur of cacti and rustling sleeping bags, she emerged with bits of wisdom, unadorned. These took on the color of something bloody in her bellows—nothing macabre but fleshy, pliant. There was also in the words a naturalist slant. A hollowed-out willow could become the dance floor of an entire fungal congregation. With moss for a canopy and pulp for refreshment, the party mingled until no single appendage was discernible from the next. The performance ended with three videos (these for “Under Awnings,” “Do You Burn?” and “Wandering Jew”), each of which plunged into a crumbling imaginary with vivid eye-breaks and uneven seams: the American dream sinking into its own cavity until only a single tooth remained. And so, filing back out into the chill, spurred by a click track of the soul, we the concertgoers knew the story would continue on only in the mouth’s void. Thus initiated, thus torn in two, the listener leaves one self behind while the other drips into the soil, where the only accompaniment can be found in the stirrings of worms, chiggers, and other stewards of long-rotted crops. In this fecund quilt lies the one perfect square, its fragrance more powerful than a tornado. There is a feeling here of three itinerant creators, wandering from one abandoned farmstead to another and playing on whatever battered equipment they can find, thus leaving songs as sigils of their fleeting inhabitation. This doesn’t mean that the proceedings are in any way sparse, for as in “Under Awnings,” despite the minimal appliqué of handclaps and muted piano, there is a mortal weightiness that one can only find in the dreaming body. So, too, the portal of “California.” It is fiercely emblematic of the album’s deceptive simplicity, for what appears to be nothing more than a drinking song is in fact a veiled paean to knowledge-seeking and the ways in which it is inevitably cracked by, and elided from, the creative process in favor of something new. Such abandonment is also readily apparent in “Flapping Wings,” a scenic morsel to feed the gaping mouth of a landlubber’s heart (indeed, there is something of an oceanic brogue about it). The title track pulls harder at the album’s frays of memory as the sun watches keenly, nakedly, holding no judgment but our own. The quavering bellows provide mechanical respiration in the background, the trembling of a newborn locomotive opening its eyes to the tracks. Unlike the latter, however, powerdove does not submit to the promise of coming together that the horizon throws at us. Rather, it maintains its parallels through a voice’s secrecy that we find in “Alder Tree I,” as well as in “Out On the Water,” which enacts another playful approach to perspective and relays between solo accompaniment and homespun groove and treats size as an ever-changing idea to which ears subscribe at random. “Love Walked In” enacts that part of every journey during which the destination, though still a ways away, nevertheless glistens in the mind as if it were a jewel in the hand. Sprightly guitar layers and an optimistic bass dance their way down endless stretch of road. Rhythms recur with the crunch of granola at molar touch. “Red Can of Paint” evokes the microscopic attention of William Carlos Williams. Overturned, it acts as a sounding drum for all activity that shares slivers of its perimeter in this pizzicato postcard. “All Along the Eaves” is by far the album’s truest to form—not only for the subtlety of its traction but also for its admixture of voice, melody, and text. Through songs like this, powerdove asks us, Why separate the chaff when it is still singing? And in this sense they provide an ethical service, documenting swan songs before they are discarded via the guts of machinery and industry. “Out of the Rain” is a beautiful afternoon-laden choir with a thump following close behind: a peg-legged, Björkian nightscape. Lewandowski has beautiful way of repeating words: drinking, sinking, sung, turning them into compact mantras of poetic evocation. In “Wandering Jew,” which reads like a travelogue of the voice, that repetition finds in the sensitive instrumental accompaniments a wavering sense of corporeal reality, which seeks shade under the beautiful plucked piano of “Alder Tree II,” a windblown leaf that hangs even though its branch is gone. Although the album barely surpasses half an hour in duration, it cradles countless more of unraveling in its bosom. There is a sheen to its contours that speaks of the dawn as experience’s signature: not an admission of love but a love of admission. > 1. Can you briefly walk me through the evolution of the album from concept(s) to realization? In June 2010 I moved to Southampton, England to join my husband, Ben, who had work teaching there. I’d left the Bay Area and also left powerdove, which at that time had consisted of me singing and playing guitar, Jason Hoopes on upright bass, and Alex Vittum on percussion. We’d toured some on the west coast and recorded “Be Mine” (released on Circle Into Square Records) earlier that year. In England I had a lot of time (perhaps too much time…) to myself. No work, no friends. I was inspired by the rain, the grey, the solitude, and very much the landscape. 11 of the 13 songs on “Do You Burn?” were written there, walking along the River Itchen, as sparse arrangements for voice and guitar. Ben and I talked at length about how this next recording might sound. Ben suggested I ask Thomas (Bonvalet) and John (Dieterich) to collaborate. Thomas has a fantastic solo project called L’ocelle Mare that I’d been introduced to in 2006 or 2007 when he toured through Oakland (Thomas is from France). He plays a vast array of instruments—foot percussion, handclaps, reeds, banjo, poppy pods…. He has an incredible sense of rhythm and a fantastic sense of atmosphere. John has been a friend for a long time. He’s an amazing guitarist and imagining his dense guitar sound on this record was thrilling. I invited Thomas to come to a concert I played in Paris in April 2011 to see what he thought about collaborating, and John’s known powerdove’s music since the beginning. Both were on board and we met in Albuquerque to record the album in January 2012. > 2. How did you come to share the road with John and Thomas? What newness (or antiquity, for that matter) do they bring to the powerdove sound? > 3. Your lyrics seem personal, at times intensely so. Are they a diary? Are they a travelogue? Are they fantasy? Yes, the lyrics are intensely personal. Sometimes I’ve worried that they are a bit too personal, but then what else would I write? I don’t think I could do it any differently. I’ve worried about the transparency of the lyrics before, but had a really comical experience a few years back that lead me to believe they maybe weren’t so transparent. I had performed the song “Easter Story” in London and someone came up to me afterwards and asked me if I was a Christian. Another person asked me if the song was about Catholic church child sexual abuse. Needless to say, neither got at what the song means to me. I’d say that, more than anything, these songs are a diary…things I’ve thought, felt, experienced, that have found their best articulation in music. > 4. Your music strikes a fine balance between polished and rough ore. Is this balance conscious and, if so, does it arise organically? I love that you have that experience listening to Do You Burn? This balance is very conscious, and it happens very much organically. At a concert we played in Poitiers in March, someone came up to me after the concert and said they felt like I was the lighthouse in the midst of a storm. I love for the simple clarity of the melody and lyrics to root itself in the bed of sonic wildness that Thomas and John create. It’s exhilarating to sing in the middle of it! I’ve been trying to close my eyes less when I sing but have found it to be impossible. I have to concentrate so completely while I’m singing so as not to get thrown off balance. > 5. For the most part, the songs feel like they were recorded live in the studio with very little multi-tracking. Was this a practical or an aesthetic decision? It was an aesthetic decision. We wanted the intimacy and feel of live takes so recorded the album as such. There was a relatively small amount of overdubbing done for this record. We recorded live at John’s house—I was singing in a closet, Thomas was playing his banjo (and other instruments) in the bathroom, and John was in the main room playing guitar. > 6. Speaking of aesthetics, how would you describe powerdove’s in one word? > 7. The song “Wandering Jew” is rivetingly poignant. What does it mean to you? I wrote “Wandering Jew” after Ben and I had packed up everything in our semi-detached house in Southampton. The movers had taken everything and there was literally nothing left in the house. I’d kept my guitar and wrote it in the days just before moving back to the US. There is a lot about the English landscape in that one, there is a lot about the pain and the exhilaration of having left the religion I was brought up with. It’s my favorite song from “Do You Burn?” I can feel my heart bursting with this complex range of emotions every time I sing it. I owe a lot to John and Thomas for magnifying that feeling in their instrumental parts, which are absolutely exquisite. > 8. Much of the press surrounding your work talks about geography. How important is landscape to you as a songwriter? I’ve noticed how much geography figures in my songs, but only in hindsight. So much about water…. I grew up in a small town in Northern Minnesota near the headwaters of the Mississippi. Much of my childhood was spent swimming in the lakes and river in the summer and ice-skating and running around on the frozen lakes in the winter. Maybe after all of those years in and on bodies of water it’s what first comes to mind. Or maybe it’s because I get the lyrics for many of my songs when I’m outside walking and that’s often near bodies of water. 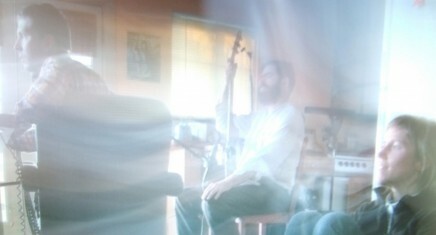 We just recorded songs for the next powerdove album and geography still has a presence, but less so than in Do You Burn? > 9. 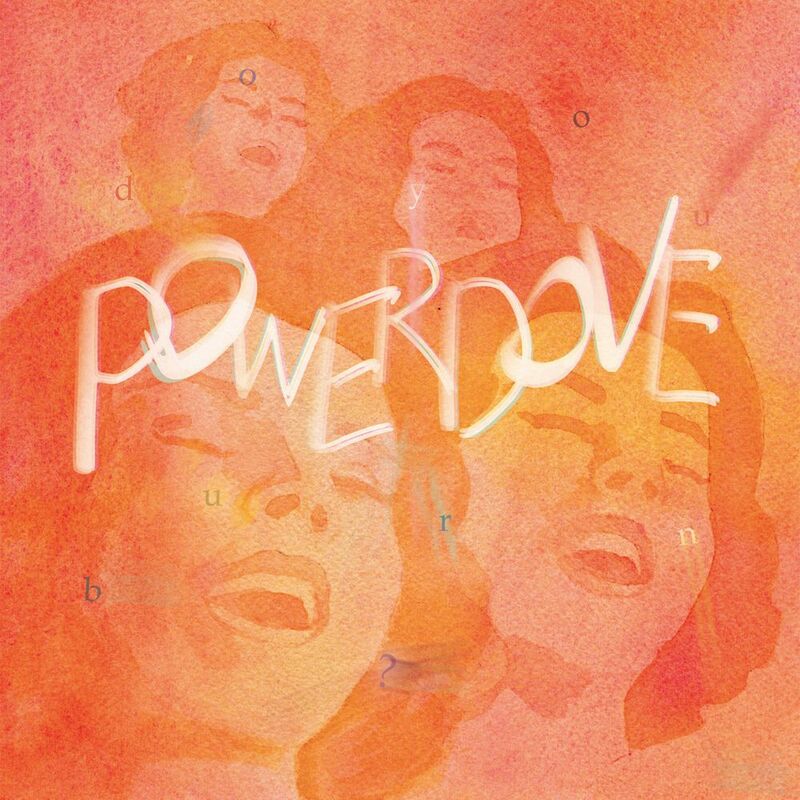 If asked to cite any musical influences on powerdove, who might they be? For singing, Nico’s at the front. Instrumentally, all of the wonderful improvisers I’ve had the pleasure of hearing and playing with the last 15 years. And I grew up in and received a lot of my music education in the Lutheran church. When my songs are at their most basic, just me singing and playing guitar, I find they have a lot in common with the hymns of my youth—stark and simple. > 10. Poetry or prose?